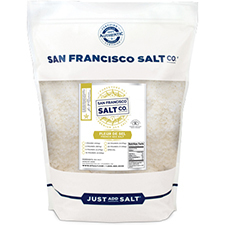 Redmond Real Salt - 25 lb Bulk Bag | S.F. Salt Co. 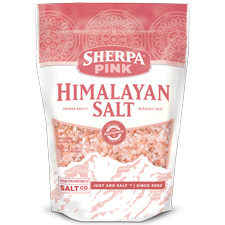 Description: Natural & Pure Gourmet Food Grade Salt from an ancient mineral salt deposit deep within Utah. Dry salt, with 60 essential minerals essential to the body. Uses: Use for: Culinary - Food Grade Salt for consumption: Salt shaker (fine). Or, blend with herbs to create a unique salt. Other Uses: Dissolve a handful into a warm bath and re-create a mineral rich bathing experience. Ideal for bath salts and salt scrubs. Redmond Real Salt® is an unrefined and natural salt, free from any additives or any kind of chemicals. Redmond Real Salt® is Kosher Certified. Its unique pink appearance and specks of color originate from over 60 natural trace minerals. 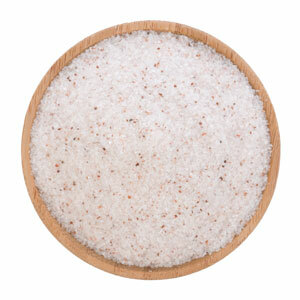 In addition to being a gourmet food salt, this salt is also perfect for creating a mineral bath experience. It is very unique and makes a great addition to any bath salt blend. Redmond Real Salt® is not from the Great Salt Lake in Utah. It is actually from a prehistoric salt deposit close to the small town of Redmond in Utah, which is over 150 miles away from the Great Salt Lake. At the time of the earth's Jurassic period, a large sea covered the majority of what is now considered North America. Over time the water in this sea evaporated, and left behind a vast deposit of salt in central Utah. A series of volcanoes erupted around the ancient seabed, and sealed the salt and its trace minerals from pollutants of the modern day.